We came across another story recently that highlights how important first aid training can be. Although we have benefited from some lovely hot weather recently, this heat has also caused some problems locally. In the middle of morning school assembly at a large school, a pupil recently fainted. Unfortunately he fell forward, landing on his chin, which then knocked him out and caused a large cut, which started to bleed profusely. The children surrounding him were obviously upset and frightened by this event but one of the teachers immediately stepped in and took control of the situation. He checked the boy's airway, ensured that he was still breathing and then placed him in the recovery position whilst a colleague called the ambulance and the boy's parents. He then treated the cut and stopped the bleeding. The pupil was fine - he had skipped breakfast that morning and, combined with the heat and a poor night's sleep, this caused him to faint. However, the quick reaction from the teacher, who was fully trained to cope with exactly this type of situation, ensured the safety of the child in his care and also prevented the other pupils from being unduly upset by this dramatic event. Would you know what to do? If not, we still have four spaces available on our Paediatric First Aid course on Monday 15th September in Kidlington. To find out more, please contact us at info@ocfa.co.uk or call us on 01235 810619. Several of our staff attended this course and despite the fact that it takes up a chunk of their weekend, they all reported that it was both enjoyable and worthwhile, with engaging trainers and a good pace. We will definitely use OCFA again for our nursery staff. 12 TRAINING DAYS FOR THE PRICE OF 8...! This amazing offer is suitable for any organisation that will need 8 days training or more during the following twelve months. Whether you need 12 one-day courses for 12 people or wish to book 4 people on a 3 day course, this offer is ideal for you. You simply purchase 12 days in advance but at the price for only 8 days. For only £760 plus VAT, which would normally buy you eight days on our Emergency First Aid at Work courses for example, you will actually receive 12 days training! 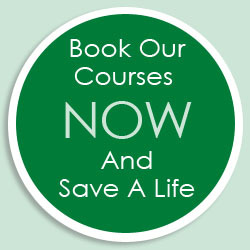 You can then use up these days as you require over the following 12 months on any of our public or in-house courses. We will be offering our full range of courses over the next 12 months and, as our course prices will be increasing in January 2015, buying in advance will also help you to avoid this increase. Although any unused days will expire at the end of the 12 month period, should you renew your arrangement with us, then any unused days will be carried forward to the next 12 months. This offer will expire on 30th September 2014 so please contact Jane Hoskin on 01235 810619 or at: info@ocfa.co.uk to save a significant amount on your training costs. Hope you're enjoying the unusually pleasant summer weather. However, as soon as we started writing this feature, it began to rain! In this month's Hints and Tips, we're looking at Heat exhaustion and heatstroke. Heat exhaustion and heatstroke need to be treated quickly. Get them to rest in a cool place – ideally a room with air conditioning or, if this is not possible, somewhere in the shade. "What item of summer clothing is produced by Speedo International?" Email your answer and contact details to Jane at: info@ocfa.co.uk and we'll draw one winner from the correct answers on Friday 29th August 2014. Dian Slay, OCFA trainer, talks about a recent delegate, who SAVED TWO LIVES, since attending her OCFA course! Click on the picture to listen to Dian's experiences on BBC Radio Oxford.